Gary and guest Cliff Rames, who’s spreading the word about Croatian wines and grape varietals, taste through 4 different and interesting bottles. I'm from Croatia and just wanted to say great work Cliff on promoting Croatian wines (I'll be checking out the website). Hope the word on Croatian wines spreads. QOTD: From these here I've only tried Enjingi Riesling, but now I'll definitely look up Ottocento Crno (being in a red wine phase now). Another great red wine is Frankovka, from the northern continental part of Croatia. 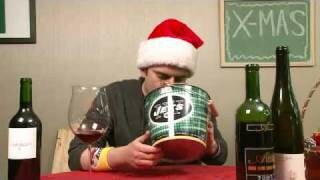 Also Gary, hope you do a show on Macedonian red wines, they're currently my favorites. This guy has an amazing temperament and personality. I would like to see you bring him on for another round of Croatian wines. He really knows his stuff. I know this is OLD – but something is keeping the avatars from showing. When I’m typing RIGHT now, my pic is showing. When I post, it doesn’t show. Resaved it. Didn’t help. Wow, great show. Mr. Rames clearly brought some strong wines. I felt similar to the way Gary reacted when I visited Paso Robles, which clearly does not get the attention that Napa and Sonoma get. It’s really interesting to broaden horizons! 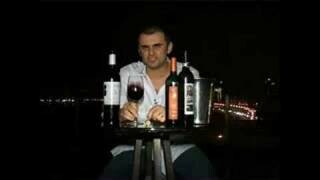 must try Krauthaker from Kutjevo one of the best winemaker from Croatia! I have to add this I hope the next episode you can visit the “Golden Island” of Krk and try some local wines, Nada Zlahtina out of all is my favorite and you have to experience the tasting in person the atmosphere is so much different than the wineries we have here in the United States…it is also fun to find some locals that are willing to show you their private stash you’ll find yourself in their basement and you’ll also get a variety of homemade sheep cheese and prosciutto no doubt. Zlahtina is my favorite and native to the island Krk for hundreds of years. A small Restaurant, Nada Vrbnik, and winery has a variety of Red and White wines. Every year I bring some home 80 kuna a bottle, they do not export to the United States. Prosek is another wine I’d try from this winery it is made from fermenting the thick must of Zlahtina grapes I have nicknamed it Prozac since their wines are strong. When you order a bottle of wine they also give you mineral water to water it down if you like. Here is the link. http://www.nada-vrbnik.hr/en/index.html# One more thing I’d like to point out their is a lot of history behind these grapes it would be nice to hear more about them. I heard the Wine Debit was used to pay debts way back in the Roman times because it was the finest wine from Dalmatia and it seems it keeps up that reputation by the price of it and it’s quality. Thank you for educating everyone on the famous wines of Croatia, my father is from there so he is very local and knows all the local wineries as many of them are his neighbors and friends…He’s been my tour guide since I was 11. We have vineyards on LI and I am so spoiled since a young child on Croatian wines they just don’t do it for me. I gave one of the local wineries a bottle to taste and he was so impressed he was going to look into if he could grow the vines here but LI is a much different climate than the Adriatic I doubt he will ever be able to.